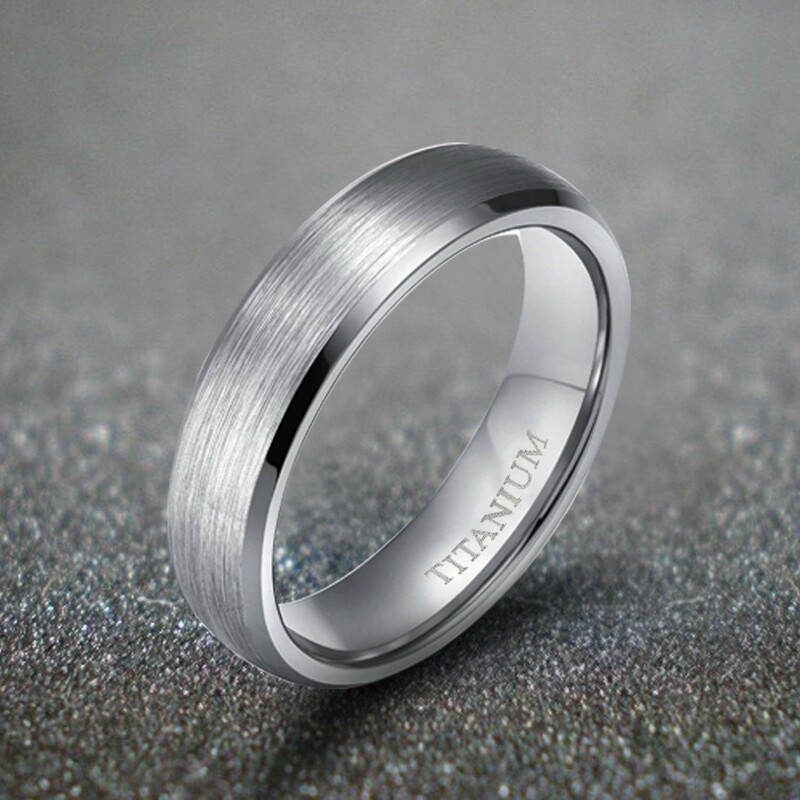 This titanium ring with brushed beveled edge has a width of 6mm and 8mm. 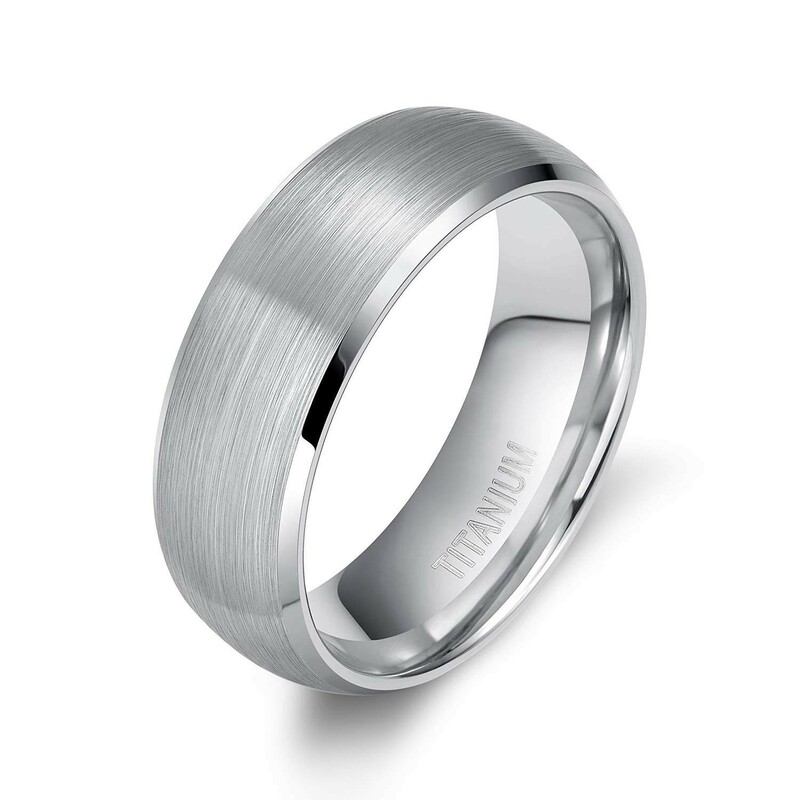 The semicircular design is perfectly matched with the polished hypotenuse and the brushed matte finish makes the ring fit comfortably and looks more special for couples. 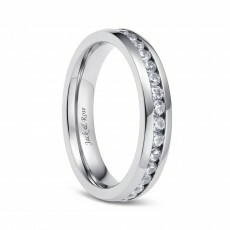 It's best on weddings, engagements, anniversaries and valentine's day. Occasions: Promise, Engagement, Marriage, Anniversary, Daily Wear, Mother's Day gifts, etc. A perfect gift for your lover or spouse with an elegant jewellery box. 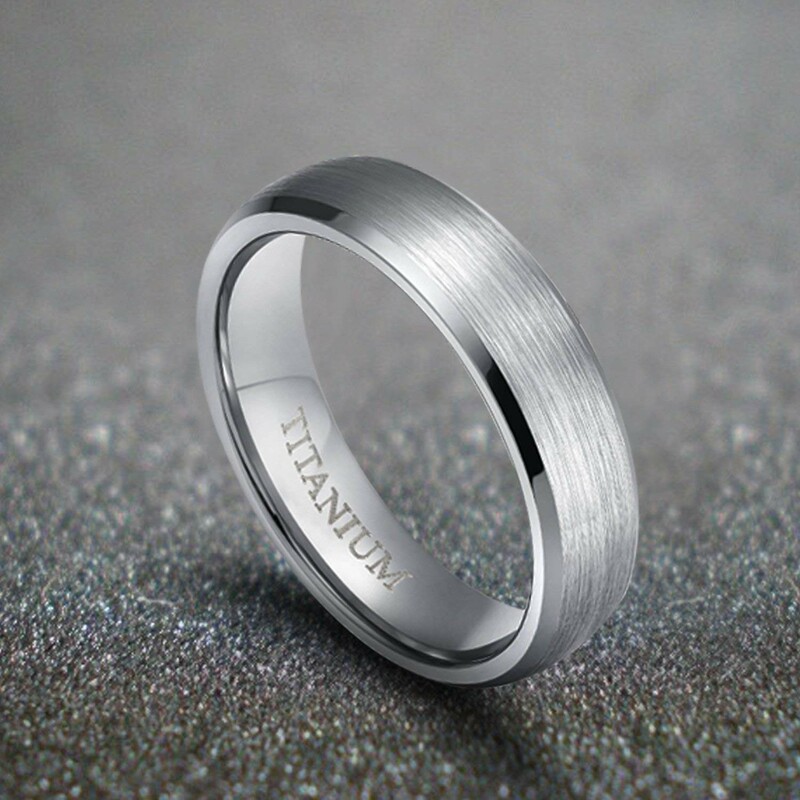 This is a very nice quality men's ring. 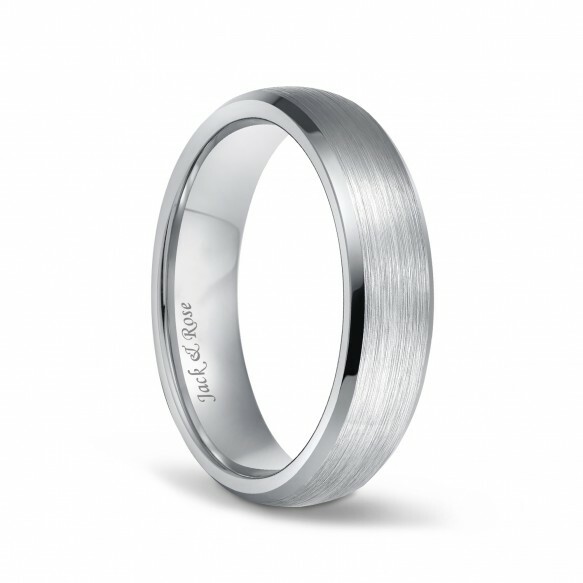 It was purchased for my son in laws wedding ring. The first exact ring was a little too big so we purchased another one in the right size with plans to return the larger one. Instead we are giving it to my oldest some for his wedding band. Even better looking than the picture and delivery was better than promised! Great ring! smaller than I actually thought and that's great! I purchased this ring because I'm not a fan of flashy, overly ornate things, and I needed something that would last, was resistant, and unobtrusive. This ring is all those things. 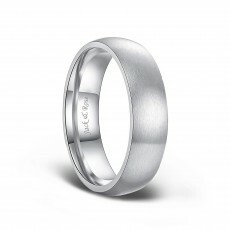 I purchases this ring for my fiance - he didn't want anything too flashy or fancy. It comes just as pictured. Great quality thus far - nice color and really simple. Love this ring but it was too big. Got my refund no problem, lets hope the next one fits! My boyfriend loves the ring. Exactly what we expected. Great ring for my husband who is constantly getting his hands dirty. Very happy with this product. This ring looks just like the photo on the website, and came right on time. It came in a gift box, and in great shape. It's beautiful and my husband says that it is very comfortable, would definitely purchase again. Bought this ring for my husband and he loves it. It's beautiful. Fits just a little snug. 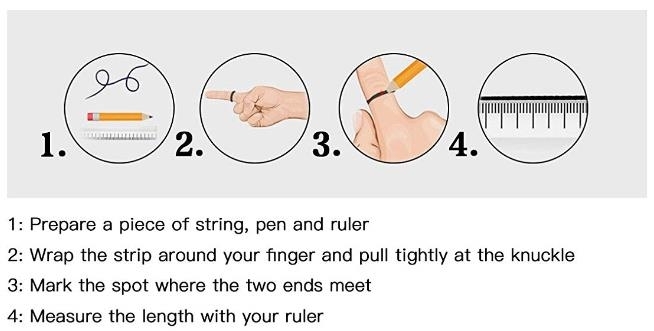 Yes, it's a comfortable ring and you won't be disappointed. Hello, this ring is hypoallergenic, please rest assured to buy, thank you. 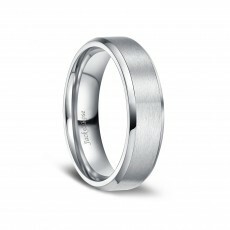 Hello, you can add the size you want to the shopping cart and the ring, then pay together. Thank you.